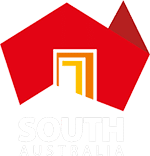 A raised garden bed can often be a great way to grow herbs, fruit and veg at home, and terraced garden beds make a garden design interesting and functional. When filling your raised garden or backfilling a terrace, you will want to ensure you use a product that resists compaction and is free of weed seeds. 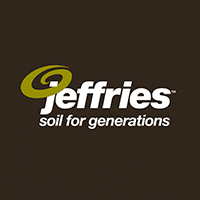 Jeffries Veggie & Garden Soil is the perfect blend of Organic Compost and loamy soil to resist compaction, retain moisture and add nutrients for healthy soil (and healthy plants). It is also a good option if your veggie garden or plants are going up the wall in a vertical garden. Topped with Jeffries Forest Mulch or Recover Mulch (with added Blood and Bone), your garden will also resist drying out and keep adding nutrients throughout the season. Made with enough organic matter, your raised garden bed should never need digging. Because they are not walked on, the soil should remain loose and friable so that weeds are easily pulled out and your plants will flourish. In following seasons, do not turn over the soil, just add organic compost to the surface and another layer of mulch — adding nutrients for your soil and plants and covering any wayward weed seeds. IT MUST BE MAY ….